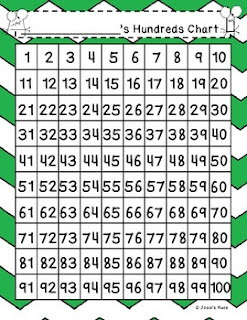 Please enjoy this FREE hundreds chart to use in the classroom to assist students with their math work or enjoy it as an anchor chart. 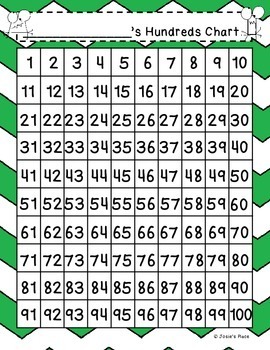 Please visit the full product Buggy Math for printables and no prep dice games to learn place value, odd/even, greater than and less than and more! Your feedback is always greatly appreciated and you earn TPT credit! APPLES! Beginning /Ending Sounds and Pattern and Sorting Center and Printables K-1 FREEBIE available! Pattern Printables and Snowman Pattern Center K-1 FREEBIE available! Octoberfest for Kids! K-1 FREEBIE available! Polar Express– includes everything for Polar Express and activities (MANY math activities) for weeks! K-1 FREEBIE available! ULTIMATE EDITION EDITABLE Labels Bundle & Save! EDITABLE Labels in Solid Colors- 30 colors to choose from!